Sue Ann Bristol, age 82, formerly of Gowen, passed away Wednesday, August 29, 2018 at Hathaway Hills in Greenville with her family at her side. The daughter of Clemen & Estella (Olsen) VanVlerah, she was born on January 29, 1936 in Greenville. On October 25, 1957, in Belding, she married Hugh G. Bristol and together they raised three children and enjoyed 57 years of marriage until Hugh passed away on November 13, 2014. 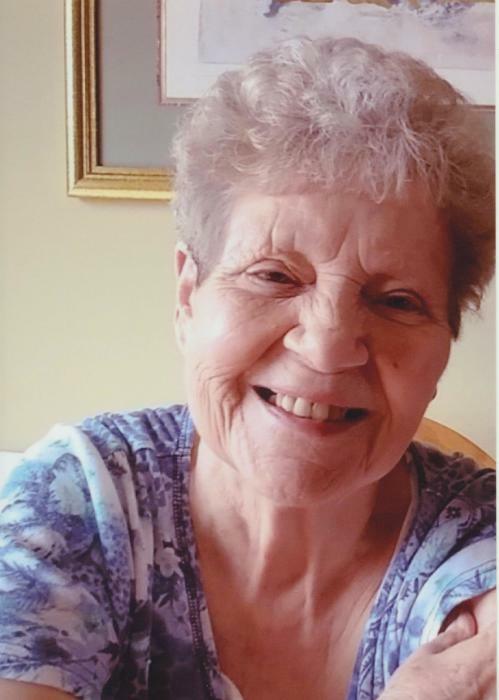 A devoted wife, mother, and grandmother, Sue also enjoyed tending to her flowers, especially the tulips, as well as feeding and watching the birds. Her family will long remember her as a excellent cook and baker, but their most precious memory will be the love Sue had for her entire family. Surviving are her children, Bonnie & Brian Petersen of Greenville, Rick & Penny Bristol of Gowen, and Sheila Bannen of Greenville; eight grandchildren, Heather & Jen Cook, Amanda Vorhees, Andy Vorhees & Abby Griffin, Chris & Shawntae Petersen, Derek Bannen, Tiffany Bannen, and Val & Kevin Suardini; nine great grandchildren; two sisters, Edith Haines of Stanton, and Rosie Burt of Greenville; a brother-in-law, Jerry & Carol Bristol of Gowen; and many nieces and nephews. The family invites relatives and friends to celebrate Sue's life from 1-3 p.m. on Sunday, September 2nd at the Spencer Township Hall, 4960 Meddler Avenue N.E., Gowen, in the lower level community room. Honoring her wishes, cremation has taken place and burial will take place privately at Spencer Mills Cemetery. Contributions in memory of Sue may be directed to the American Cancer Society. To send a message of sympathy to the family, sign Sue's online guest book, or to share a favorite memory, please visit: www.ChristiansenCares.com Arrangements were entrusted to Christiansen Cremation & Funeral Care,Greenville.